First try out a placement for the strips in a wavy fashion. Place them over the cream square. Adjust them to cover the raw edge of the previous strip. Try to cover the whole square. 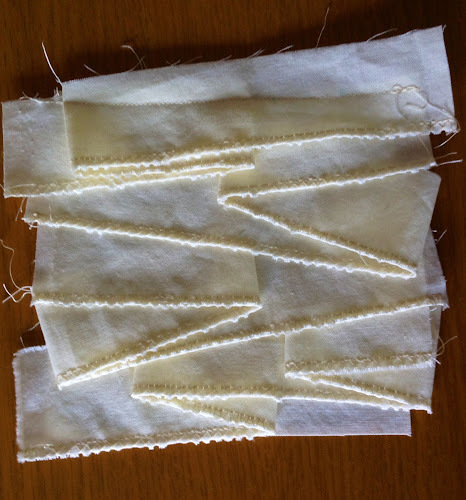 When you like the placement, remove all strips and place one by one using pins and stitch to the background fabric. 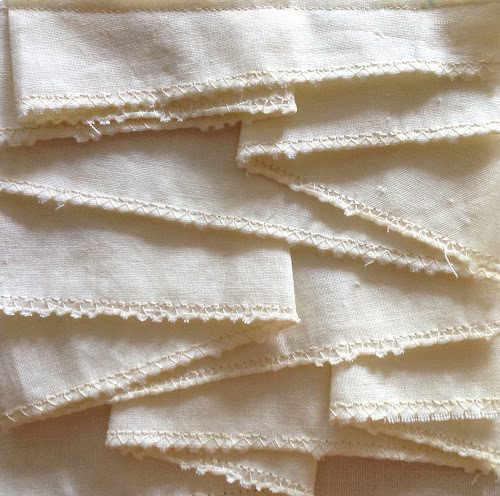 You will need to lift different parts of the strip in order to stitch each strip to the fabric. 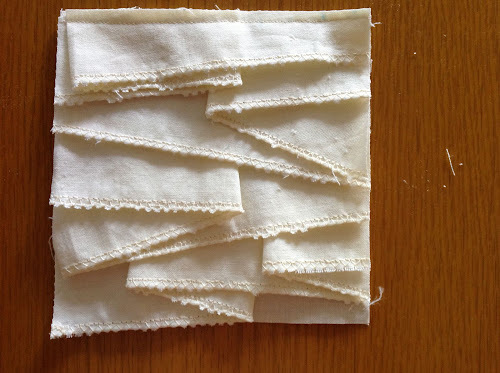 The first strip has been stitched. Do the same with the second one. Continue to add strips until you use them all and the square is covered. 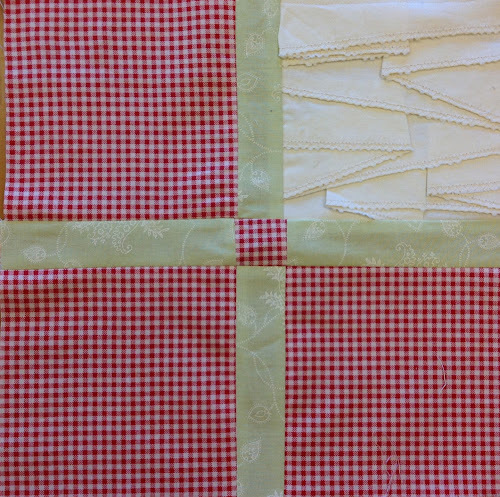 Place the different pieces as per picture and stitch together. The second block is done. Hi Theresa. I love your Farmers Wife Quilt. I’ve signed up to make FWQ from autumn and I’d really like to use fabrics like the ones you’ve used in Hovering Hawks, Peaceful Hours, Basket Weave and Basket. Could you give me an idea of brand name/supplier? Many thanks. The fabrics you like are Ruby by Bonnie and Camille a Moda fabric range https://www.facebook.com/media/set/?set=a.224605014264481.55630.182329855158664&type=3 and a range by Cosmo Cricket http://www.flickr.com/photos/25848863@N04/4720855509/ both collections are favourites of mine.